The all new VX8 Extreme X Limited Edition has landed. In jet black and with unreal new features, the new top spec VX8 fitted with Titanium bars and hardware. 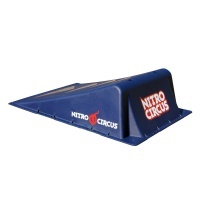 Free Nitro Circus Ramp with this product worth £14.95. 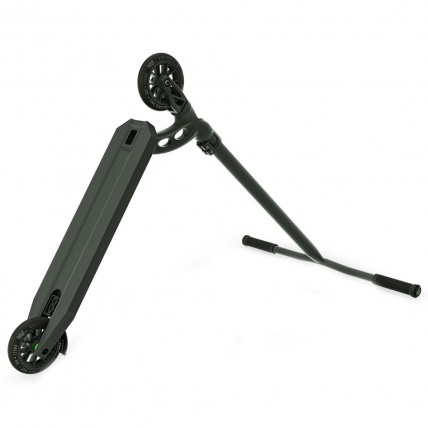 Great for practicing your tricks at home. 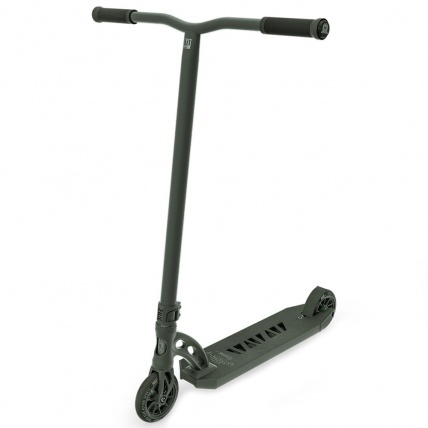 The best Scooter of 2018? Very possible! 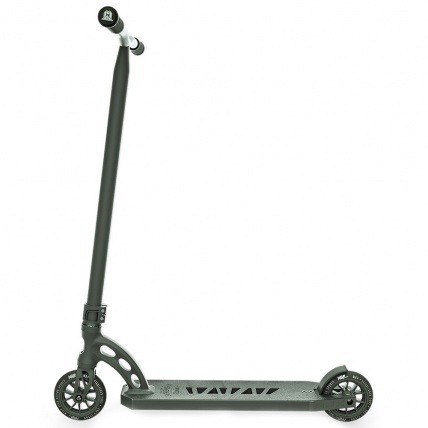 This Madd Gear VX8 Extreme X Limited Edition Pro Scooter has by far the highest spec on a complete scooter we have ever seen ATBShop, with its super sleek design and stealth mode colour option. This limited run scooter has been fitted with Madd Gear's largest and lightest ever scooter handlebars, the BAMF TI Bars coming in at 26” x 26" and 830 grams which are truly madd numbers. These bars are super light compared to Madd's alloy bars on offer, and have superhero like strength with that grade 9 titanium. Fitted onto these we have TPR rubber grips ideal for keeping those hands dry on a hard session in the park. Holding the sick bars onto the scooter, MGP have gone with a lightweight X2 Cobra double clamp, with titanium hardware that looks truly awesome. 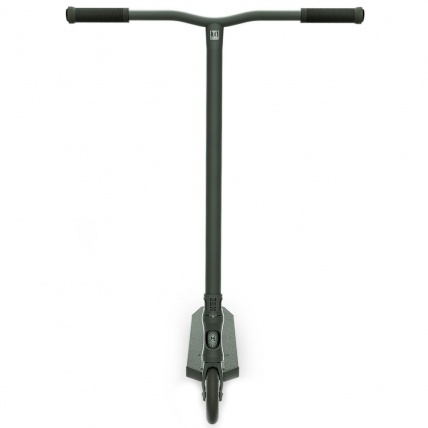 "By far the best spec'd scooter we've ever had come through our doors, definetly one for a park riders christmas list." Madd Gear have Blessed us with one of there sleekest looking forks on this complete, the affray fork is simply beautiful and ties in so well with the clamp. Mini HIC Compression system with a 3mm shim keeps the weight down and makes maintenance easy with just 3 bolts to touch to get the headset nice and tight. The deck features MGP's signature gooseneck down tube and is fully integrated working perfectly with the mfx headset. Being 4.8" wide by 20.5" long this thing flys through the air the a stealth jet. 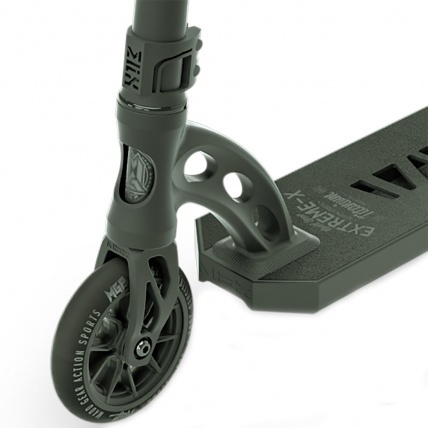 Using the very best of the MFX 2018 components, these scooters are extremely limited and won't be around for long. Get your order in to avoid disappointment. 26in x 26in oversized (34.9mm) grade 9 titanium bars.